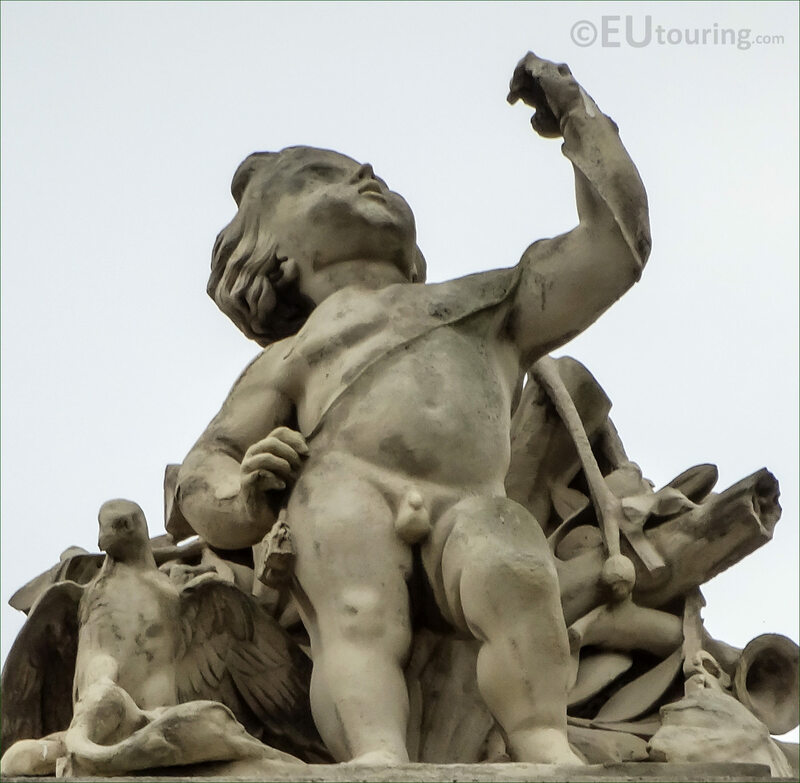 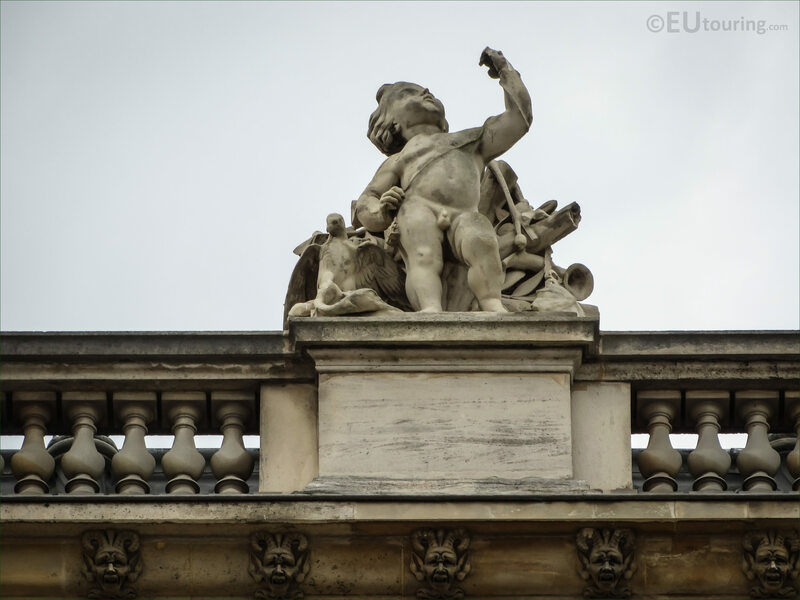 We were admiring the facade of the Aile Daru wing of the Musee du Louvre, when we took these high definition photos showing the statue called La Chasse, which was sculpted by Auguste Jean Baptiste Lechesne. 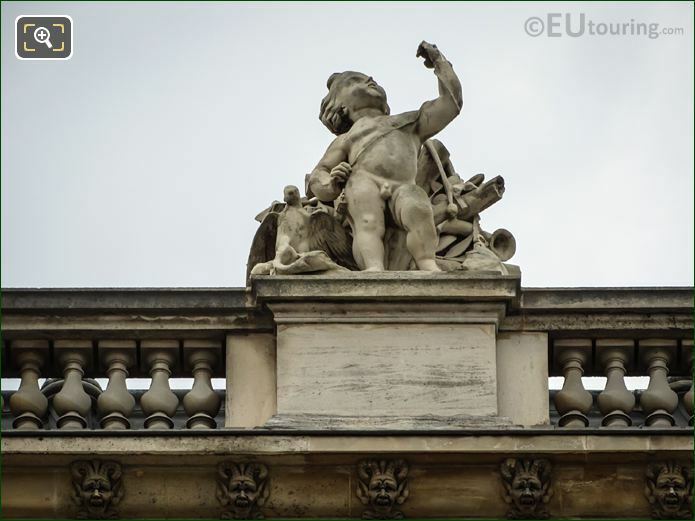 This first HD photo shows the statue called La Chasse, which in English translates to The Hunt, and as you can see, this is located on the balustrade of the top level by the roof line on the wing called the Aile Daru, and if you are standing in the Cour Napoleon courtyard, you can see this is the sixth statue from the left hand side. 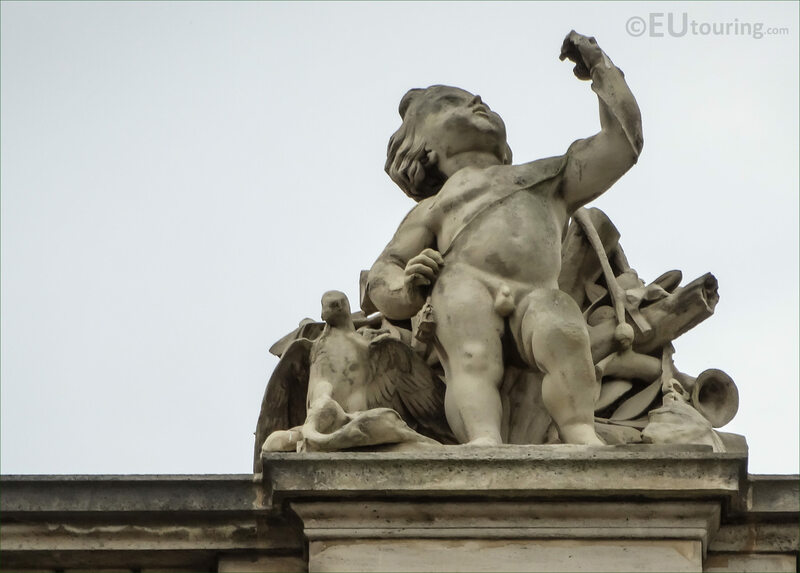 And La Chasse was produced in stone by Auguste Jean Baptiste Lechesne who was born in Caen in 1815, and entered the Ecole des Beaux Arts studying to become a French sculptor under the direction of Pierre Charles Simart and Jean Baptiste Hoseph Debay. 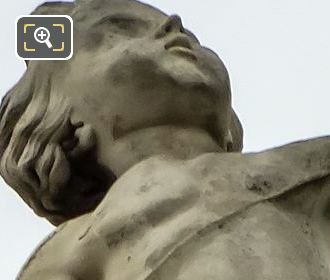 Now this next image shows a close up of The Hunt statue by Auguste Jean Baptiste Lechesne, and he produced a plaster model of this prior to executing the final version in stone for the former Palais du Louvre, and this plaster model is now held within another famous tourist attraction in Paris called the Musee d'Orsay. However, on the stone statue of La Chasse, you can see that the young boy, known as a Genius, is looking at his hand held up in the air, and originally there was actually a bird positioned on the top of his hand, but unfortunately this has long since gone, yet other attributes of this allegorical statue like the bird by his feet still remain in place.